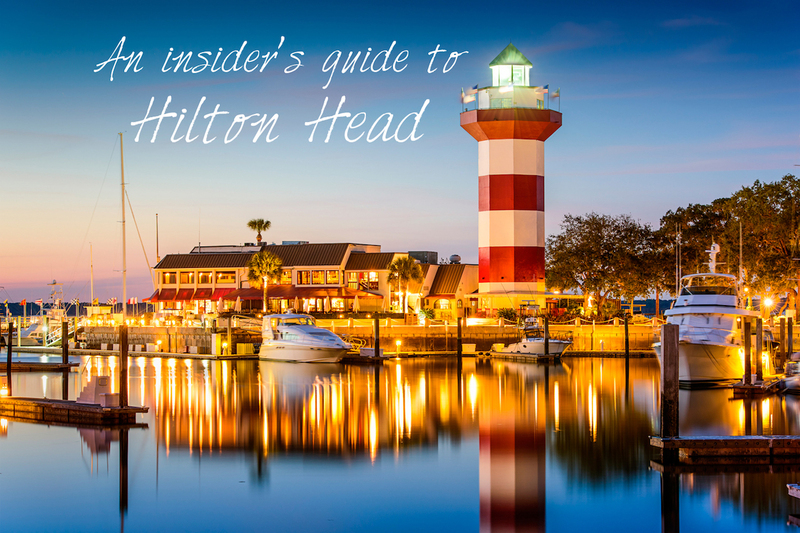 Samantha Shostak, our Lowcountry District Manager, shares her favorite things to do in and around Hilton Head, the location of our first store. Hilton Head has always held a special place in my heart as it was the vacation spot for my family before we decided to finally move down. My favorite spot to eat on the island is Stu's Surfside Subs, a sandwich shop located in Coligny Plaza. Stu's is run by a local couple who are the sweetest people you will ever meet. Their beach club with peppered turkey, fresh guacamole, and the softest bread will give your tummy the smiles it needs to conquer the beach or a day of shopping! A must go to store on Hilton Head is called Del Sol. They offer a range of products that change color in the sun, whether it's nail polish, t-shirts, or frisbees there is something for everyone. When my nephew or one of my nieces has a birthday I always grab them something from Del Sol because I know those kids are going to love it! This shop is also located right in Coligny Plaza. If it's my day off and I'm spending it on Hilton head I love to hit up the Frosty Frog for a frozen daiquiri, shop around the plaza for a bit and then head to the beach! Coligny beach is so beautiful, with wooden bench swings and the fountains filled with happy squealing children, it has an awesome vacation atmosphere even for us locals. After some fun in the sun beach time, I always make sure to stop at the Tiki hut to hear live music and enjoy a pina colada while enjoying the ocean views or playing beach volleyball. Now if it rains on HHI, I mean it is a tropical destination, Shelter Cove has recently been rebuilt with a bunch of fun restaurants and bars. World of Beer has just moved in with a huge selection of beers from around the world and I love to try to hit everyone! They have oversized Jenga to play and also have some themed nights like trivia, etc. When the rain clears, the location right along the marina allows you to walk along the water and gander at the docked boats. It's beautiful and romantic. Summertime is when HHI is in full bloom! The visitors are happy, the locals are busy and the palm trees sway in the breeze. It is truly heaven on earth. I love making Hilton Head custom signs for our transient folks who consider this a second home or even for the locals that show their pride for the small island. My favorite and most creative sign I've seen was made by an employee of mine. It's a small, three-letter sign that says HHI featuring palm trees, a hammock and a full-color picture of the Harbour Town lighthouse, a staple for anyone sightseeing or avid golf player! Many visitors and locals love to take that one home as a souvenir or gift for someone that loves the island as much as we do!